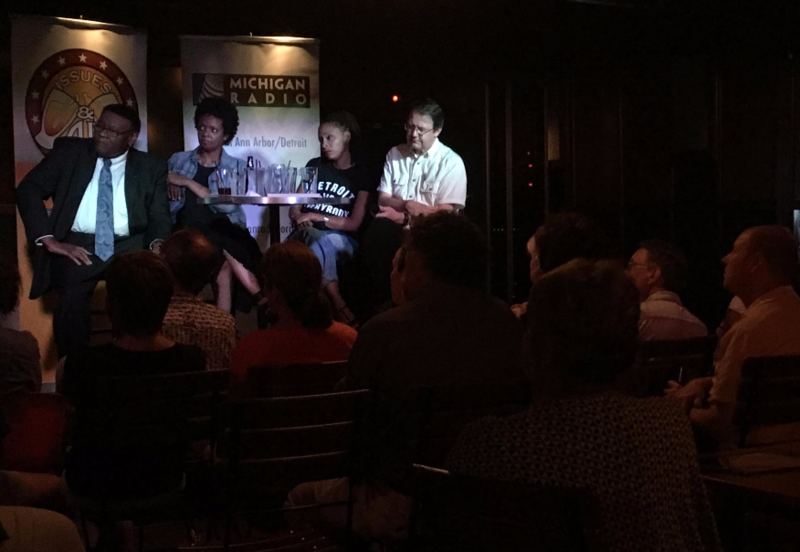 Graham said the Detroit Journalism Cooperative spent the year investigating how Detroit has changed since 1967. Hood said the overwhelming lesson here is this: Racism is like an illness. Hood is glad the 50th anniversary of the rebellion is giving rise to safe conversation spaces, like this Issues & Ale event, but she said it’s not enough. White people may sometimes feel these conversations are too difficult to have at Thanksgiving dinner tables or in the office, for instance. For the night’s in-depth conversation about the 1967 rebellion, race relations today compared to 1967, and the systemic racism at play in our society, listen above. You won’t want to miss it. From July 17-28, Michigan Radio is looking back at Detroit in 1967, the Summer of Rebellion. We’ll explore the issues that led to one of the deadliest civil disturbances in American history, and examine why it still resonates in the city today.